First comes carbon regulation for the power plants. Is it possible that autos will be targeted next for even closer scrutiny? According to the official governmentnews release, the U.S. Environmental Protection Agency (EPA) will hold two public hearings on May 24, 2012, on the proposed carbon pollution standard for new power plants. Right now, the proposed standard only applies to power plants built in the future. It is labeled as flexible, and would help minimize carbon pollution. It reads within the news release as though it will deploy the same types of modern technologies and steps that power companies are already taking to build the next generation of power plants. However, that is not the only concern, especially by those in the auto industry. Of course, with the increasing production of electric vehicles, one of the main complaints, aside from price, is that much of the fuel that is used to generate electric power is coal; and that is not considered as clean as the green side wishes it to be. For the record, currently there is no uniform national limit on the amount of carbon pollution new power plants can emit. Same goes for automobiles as far as my research can tell, but rest assured that autos with IC engines will not get a free pass. However, there are limits on oxides and other noxious fumes. Carbon takes regulation to a new level; and it was given the green light per the federal courts but challenged. It eventually made its way to the US Supreme Court. So, this action centers on a 2007 Supreme Court ruling which gave the U.S. Environmental Protection Agency (EPA) the right to enact such a proposal. As the first Clean Air Act standard specific to carbon pollution from new power plants, EPA’s proposed standard also reflects the ongoing trend in the power sector to build cleaner plants that take advantage of American-made technologies. These include new, clean-burning, efficient natural gas generation, which is already the technology of choice for new and planned power plants. Question is, how far might this standard drive to power plants extend to autos? For sure, this writer thinks any standard set with utilities will eventually make its way into regulations for automobiles. It was just two months ago when I wrote of the EPA announcement. Now the plan is morphing into action. The hearings will begin at 8:30 a.m. and continue until 8 p.m. Eastern Daylight Time and Central Daylight Time according to the location. Attendees are asked to bring picture identification and allow additional time to enter the buildings and go through security. Pre-registration for the hearings has closed, though. The public may register to speak in person on the day of the hearing and will be accommodated as time allows. 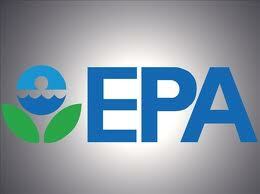 EPA also will accept written comments on the proposed standards until June 25, 2012. For those who desire to comment on the green agenda either way, here is your opportunity. EPA Regulations continue to be a bit out of sync with the real world. . The protection for which they are designed is completely overshadowed by the fact that they are time consuming, not cost effective and they never seen to be able to stay stable. All of which are things that are too great to bear for a number of businesses as regulatory policies never seem to have any kind of knowledge of business practices. Going forward we need to find a way to make the relationship between regulation and business more balanced. All new USA cars need to be SULEV and many models have the option of PZEV. I thought those cars had very low emissions? I checked out the exhaust on a new PZEZ Subaru Outback when cold, at first there is a bit of a smell, but within 30 seconds the exhaust got hot and the smell went away, so as far as my nose was concerned only CO2 was coming out of that tailpipe after the CATs started heating up. I think all SULEV cars come with 2 catalytic converters but I could be wrong. I just wonder what is the next requirement the EPA or CAFE will require for gas cars, and the challenges it may bring to keep MPG high. I'd suppose it would be PZEV mandatory.